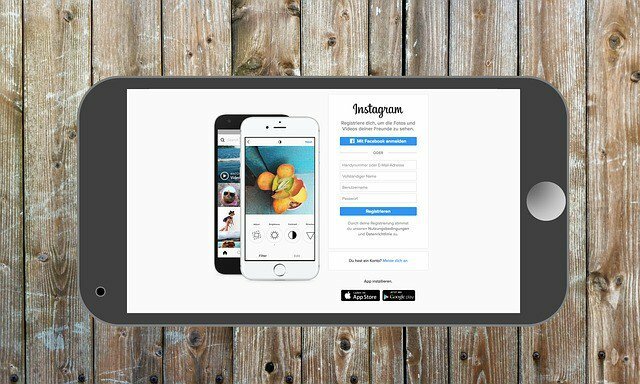 If you’re using Instagram as part of your social media marketing strategy, it can be difficult to know when to post your content. You obviously want to post the content when you know the people who want to see your content are actively there to see it, but what good does that answer do you? As with Pinterest and other social media channels, you’ll quickly learn there isn’t a one-size-fits-all approach to your posting schedule and strategy. Several studies have looked at when you should post on various social networks to get the most eyes on your content and the most engagement with it. But, just because a study revealed it to be the case, doesn’t mean your audience will follow along. We’re sharing this information with you to help you get a starting point to work from as you build your strategy and audience. In case you missed it, you can take a look at our post on the Best Times to Post Content on Pinterest, too. What Days and Times are Best for Posting on Instagram? Instagram users are generally engaged throughout the week, with Monday getting you a bit more attention than any other day of the week. Post content Mondays and Thursdays, but avoid posting between 3 and 4 p.m. Videos tend to do well any day of the week, when posted between the hours of 9 p.m. and 8 a.m. The general best times to post on Instagram are 2 a.m., between 8 and 9 a.m., and 5 p.m. Experiment with those timings, as well as Wednesdays at 7 p.m. and see what happens. Like with Pinterest, it seems users are more engaged with Instagram outside of work hours, so posting between 9 a.m. and 5 p.m. likely means your content won’t get as much exposure as it could if you posted it at a different time. How Much Content Should You Post to Instagram Every Day? Research from Union Metrics that looked at 55 brands on Instagram found that the most brands post an average of 1.5 times per day – or two times every three days. Again, you should experiment with your audience – because certain niches like fashion will be more receptive to additional content. Does this mean that’s the optimal amount of content to get results? No, it’s just a guideline you can use based on what major brands are doing. The same study also showed there was no negative impact on engagement from brands who posted multiple times per day. This just goes to show that bigger brands can sometimes get away with posting less often. It’s not so much the frequency of posting that matters, so much as the quality of your posts, and the consistency you post with. Whether you post hourly or weekly, the consistently is what your followers will get used to, so that’s what they will look for and be ready to engage with. If you suddenly decrease your post frequency, you can expect to lose followers pretty quickly. What Scheduling and Analytics Tools are Available to Help Inform Your Social Strategy? If you’re already using a tool like Buffer or Hootsuite to schedule updates for Facebook and Twitter, they’ve recently added the ability to schedule posts for Instagram, too. You can schedule up to 100 posts per account. If you have a business account, you can get more analytic data to see how well your content is performing. It’s worth noting that Instagram doesn’t allow services like Buffer or Hootsuite to post to your account on your behalf, so when the time comes, the apps sends a push notification to your device, along with an image preview, and a copy of your caption. From there, you open Instagram and paste the caption. Then, your post will go live. A tool like Crowdifre can help you grow your following. Connect all your social accounts, blog, and website to it, and tell it what you want to be famous for. It will help you grow using all your digital properties. It will monitor the accounts in real-time and determines how you can grow, taking you through tasks every day to help you reach your personalized goals. It helps you find content your audience will love and posts it for you at the right times. Instagram can be hard to get the hang of at first, especially if you’re not in the fashion niche where it seems to be the most popular. But, with a little work and dedication, you can make it one of the most popular channels your audience uses to reach you. This article originally appeared in SEO Inc Blog. This article was written by Dalton Grant from Business2Community and was legally licensed through the NewsCred publisher network. Please direct all licensing questions to legal@newscred.com.